Lesotho has traditionally been known for illicit production of relatively large quantities of cannabis grown in some corners of the mountainous Kingdom to basically supply black market in the neighbouring South Africa. But it was not until the country became first in Africa to legalise production of medical marijuana that Lesotho – a high-altitude, land-locked and tiny Kingdom – attracted attention of big Canadian companies in the world’s cannabis industry. This has, however, come amid intense debate over the success of the market in the long run, especially with the looming cannabis glut in Canada. In a media release dated March 20, 2018, a Canadian publicly traded company, Supreme Cannabis, announced it had entered into a “definitive agreement to complete a USD10 million (M140 million) strategic investments” in Medigrow Lesotho, a licensed producer of cannabis in the country. Supreme said upon completion of the investment, it will hold an approximate 10 percent ownership interest in Medigrow. The two companies established a global distribution partnership of exportation of medical cannabis oil. Supreme has further provided on its website that it expects strong global demand to exceed supply for the medical cannabis oil. It believes Lesotho is well suited to produce quality cannabis oil and that its ally, Medigrow, possess the expertise to meet the highest quality standards. Not long, another Canadian giant, Canopy Growth, has made its way into Lesotho, buying USD29 million (M406 million) stake in the Daddy Cann Lesotho, another licensed producer. In May 2018, Aphria, also from Canada, announced that it entered into a series of agreements resulting in it forming a joint venture, Cann Invest Africa Ltd, with South African company, Verve Group of Companies. As part of this transaction valued at over US$4 million (M56 million) Cann Invest has acquired a stake in Verve Dynamics, a licensed producer of medical cannabis extracts in Lesotho. Cann Invest’s partner in Verve is the Matekane Group of Companies. All these companies cite Lesotho as a potential for a successful cultivation of quality cannabis due to its high altitude combined with fertile soils untainted by pesticides. Same sentiments are shared by Prime Minister Thomas Thabane. Thabane said, during the launch of Medikingdom’s Mejametalana plantation in December 2018, that Lesotho was most fortunate because of its favourable climatic conditions. Medikingdom, which has partnered a Washington based Rhizo Sciences, had in a press statement of December 14, 2017 announced plans to partner Medikingdom and build the US$45 million (M630 million) medical cannabis export facility in Lesotho. Medikingdom was registered in Lesotho in September 2016 for medical cannabis cultivation and converted to a public company in July 2018. It is first in Africa to have harvested its first crop in 2017, and on March 26, 2018 it exported 10 packages of 850-gram samples to Canada for testing. Its Chief Executive Officer James Mather has told the MNN Centre for Investigative Journalism that they were investing M800 million in Mejametalana plantation over the next two years. 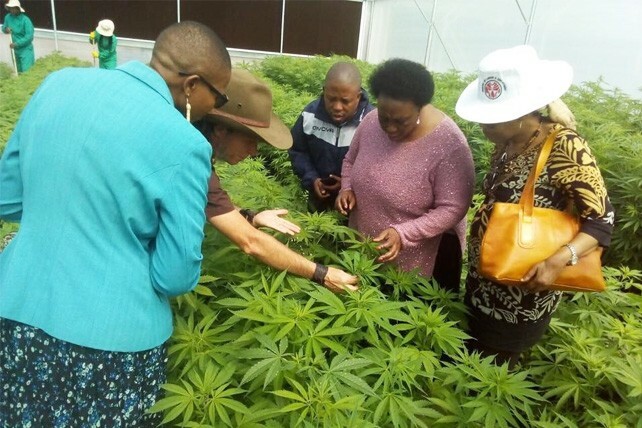 However, Nathan Emery, a Global Value Chains consultant, has cautioned that the cannabis market was almost saturated and soon Lesotho may find it difficult to export the product. For Emery, the future of the cannabis industry in Lesotho is best determined through the lenses of supply and demand existing globally, “considering also that these companies export to Canada, the first industrialised nation to legalise recreational cannabis”. The Centre is aware of international media reports on the possible cannabis glut in Canada. Grizzle recently reported that “based on government surveys, medical use rates in Canada and legal producer construction plans, we estimate Canada will be oversupplied by at least 850,000 kg (85 percent oversupplied) by the end of 2021. International demand will have to consume the excess or else prices in Canada will quickly fall to as low as $2.50/gram, until enough companies go bankrupt to rebalance the market”. But Medikingdom and Medigrow have shown no worries about the looming cannabis glut in Canada. Medigrow, on the other hand, has indicated, contrary to the possible glut reports, that “studies show increasing demand of cannabis over the period, we would rather refrain from speculating about future demand and supply dynamics of the industry, we have full confidence in our research and therefore strategic objectives”. 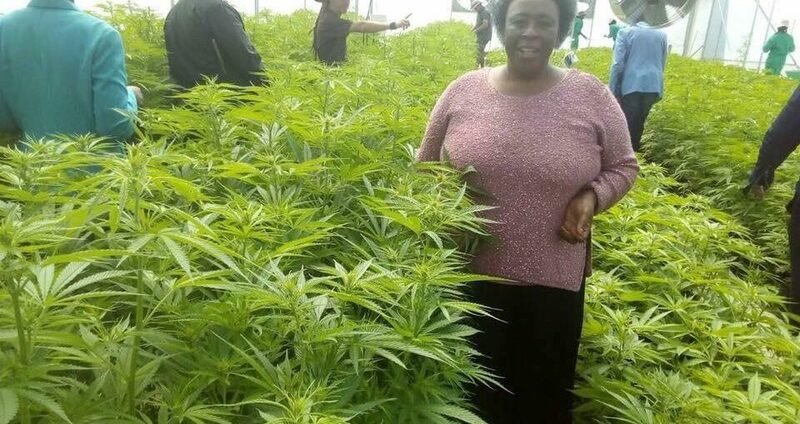 The Central Bank of Lesotho, when contacted for a comment, noted it was yet to familiarise itself with the developments on cannabis production in the country and its impact on the economy.